Retail theft has always been a common offence. However, in an uncertain economic climate shoplifting can increase heavily. Together with an increase in the abuse of staff, many thousands of incidents have been recorded during the last few years. As a result of this, here at Castlegate Security we understand that it is more important than ever to employ security in retail areas. With over 20 years experience in the retail security division, we can provide you with peace of mind. Our security guards are experts in this field and are trained specifically for this type of work. Additionally, we can advise you on a variety of solutions relevant to you and your retail outlet. We currently have static and mobile patrols in three shopping centres in the North West. For more details, please call us now on 08453 102010. 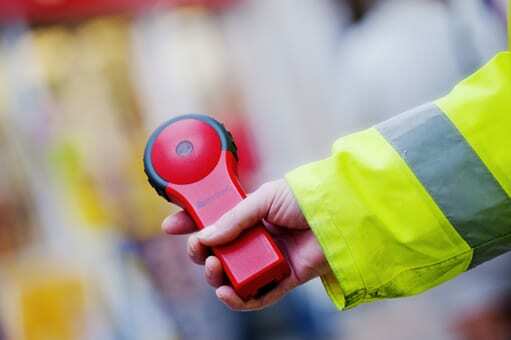 We offer you a perfect mobile solution for reporting activities of your security guards or plant security officers. Our security guard control system by COGARD has fully developed RFID data readers, giving you less to worry about. COGARD security guard control systems with contactless position-independent RFID data readers are supported by different software versions. Further applications, such as time or data records and service surveillance, may easily be connected via their particular interfaces. COGARD wall station technology creates peace of mind for retailers and visible evidence that our security patrol is doing its job correctly. We currently employ the COGARD system in three shopping centres in the North West. Furthermore, it has proved a highly successful technology in security reporting. COGARD wall stations are installed at strategic checkpoints along the routes your security personnel patrols. Security personnel simply touch the handheld data collection unit to the wall station to register the date, time of day and the wall station’s ID number. To confirm correct transfer, a beeper sounds and a light flashes. At the end of a shift, the guard inserts the handheld unit into the station box for data processing. Doing this also recharges the handheld unit. The COGARD station prints out a complete, clearly organized list of all checkpoint entries. Industrial and commercial businesses have to be on their guard. Thieves are always inventing new and ingenious ways to circumvent current security measures. However, our security experts make it their business to be one step ahead of the criminals. To add to this, they offer many innovative security solutions for businesses. Efficiently patrolling your premises every hour on the hour, our security guards will check all access and exit areas to ensure the site is free from intrusion. This, combined with mobile patrolling, will deter any would be criminal and give peace of mind to business owners.